Our certified holistic health practitioners assist and support patients in achieving optimal levels of health and wellness by caring for mind, body and spirit. We staff our center with skilled, caring and compassionate practitioners who combine their expertise in various healing modalities to help you achieve the health, relaxation and bliss you deserve. We understand by creating a caring, supportive environment, we can promote stress reduction and relaxation allowing for the ideal remedies to help in the healing process for a busy and stressful life. With nearly 100 years of combined experienced, our staff is highly qualified and ready to assist you in bringing your mind, body and spirit into balance. By integrating ancient philosophies from the East and with new techniques of the West, MATIZ Wellness Center offers the finest experiences for allowing deep and lasting health for our clients. As owner of MATIZ Wellness Center, Edilma's goal is to assist in the healing of others while inspiring others to find their own light within. Services: The Reconnection and Reconnective Healing, Sound Healing, Reiki healing and Instruction (English/Spanish). Crystal Sound Facilitator, Intuitive Energy Healing. 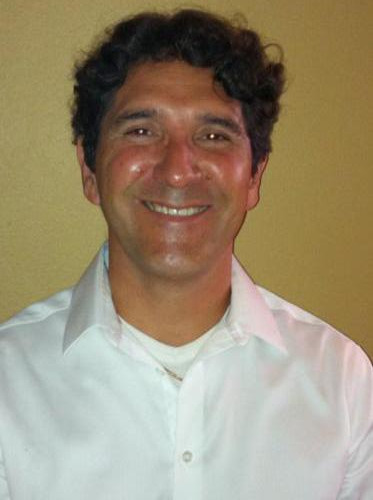 Alfonso incorporates various healing techniques and Energy Work to deeply relax and reconnect his clients. Andrea practices a wide variety of massage styles and loves to weave them together with healing therapies for a truly custom relaxation experience. Services: Deep Tissue Massage, Sports, Thai, Hot Stone Therapy, Colon Hydrotherapy and Reflexology. Healer and Massage therapist, Lidia exudes a passion for the holistic approach to mental, physical and spiritual well-being, as reflected in her individually tailored client sessions. Erika guides others through the inward journey towards healing, so they may connect and expand their awareness, deeping the love and light within self. Through each intuitive session, Erika will connect with your Higher Self and guides to bring forward healing light. Erika believes that every person is journeying along their own path and each person has infinite possibilities they may choose to journey along. Through each session, Erika will bring forth the highest potential possibility, based on where you are in your current life path. There will also be an opportunity to sift through blockages and bring forward guidance for the purpose of healing. Lina has always been drawn towards helping others. Her goal is to continuously help her clients achieve health and wellness through manual therapy. 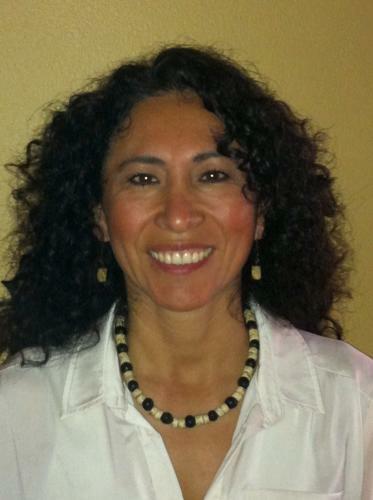 I’ve been going to Edilma Avendano for massage for many years. She is wonderful! She does the Rolfing technique of slow, deliberate movements on my muscles that gives me the maximum results for my body. I carry a lot of tension in my neck, shoulders, and mid back from a fall I suffered 30 years ago. I was in much pain for years and had tried many kinds of healing techniques such as wearing a neck brace, physical therapy, chiropractic, holistic chiropractic and acupuncture. After getting no results from any of these, I tried massage therapy. I’ve found Edilma’s massages to be the most beneficial. Her excellent technique helps me release my muscles by letting go not only physically, but also mentally and emotionally. In September 2016, I began having numbness in my feet and hands and walking issues. I’ve gone to many practitioners, healers, alternate healing modalities ,doctors, and a functional neurologist (X-Rays, etc. ), Feldenkrais, Acupuncture, N.I.S., physical therapy, Orthogonial Atlas adjustments, Infra-Red Laser therapies, etc. I am 67 and growing up my spine had a long scoliosis curve affecting many areas of my body. I’ve also been in several serious car accidents. Most of the practitioners helped me in some way, however, the improvements didn’t stick or some therapies aggravated the symptoms. I began working with a Christian Science practitioner who help me correct my thought, and stay in alignment with Divine Oneness. Then, I was referred to Edilma. She is known as the Healer’s Healer. I was a healer definitely in need of help. Of everyone I saw, all the intuitive guidance, etc. no one mentioned Gridwork to me. I was using a cane, a waist support brace, and using a wheel chair at airports and going to stores when I first met Edilma and had a friend drive me for my first visit. From my first session with Edilma, I began walking straighter and with a longer stride. After my second session, I became more balanced with walking and experienced easier mobility. My third session was a distant healing. The physical discomfort has lessened and some of the numbness in my hands and feet has lessened. The seeming impossible is happening for me as I know I am experiencing physical changes in my structure. I am healing, and I look forward to 100% healing!